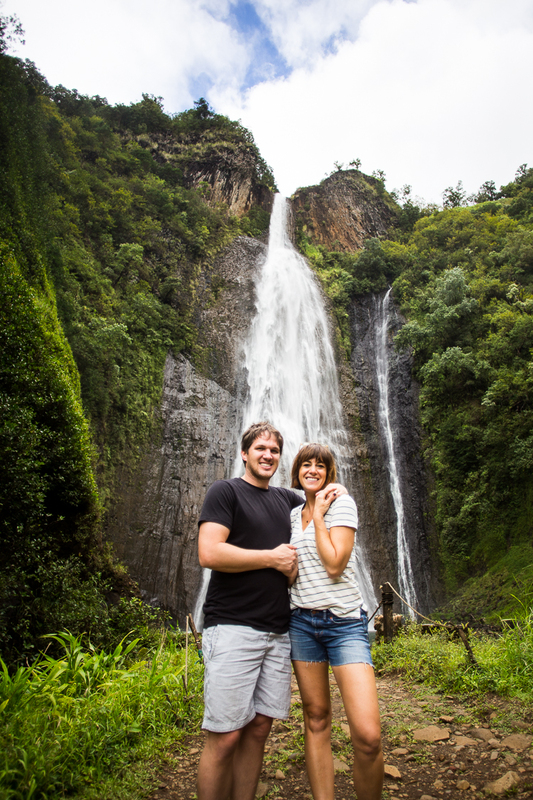 Our anniversary trip to Kauai was one for the books! 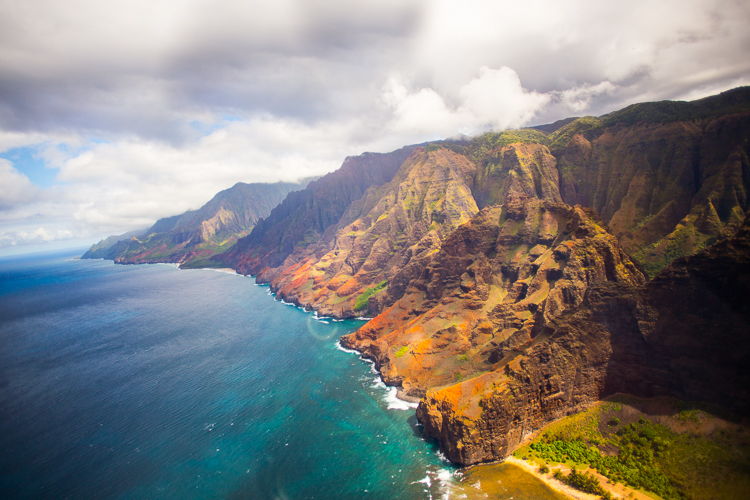 We pulled out all the stops, and in addition to our usual shoestring and adventure-style traveling of hiking, beaching, and eating at local food trucks, we decided to book one of the much acclaimed Kauai helicopter tours. 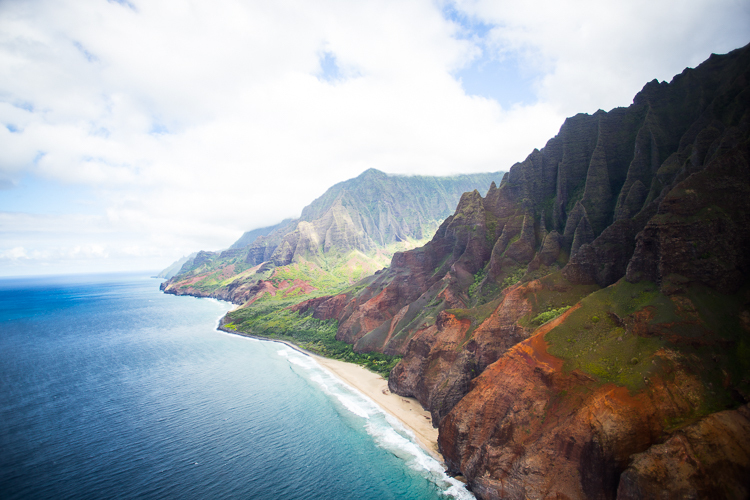 If you are looking for a helicopter tour in Kauai, you’ll find a half-dozen options. The island is incredible seen from the air, and a handful of great companies have made it their job to provide this breathtaking view to customers. There are a few things to consider as you look into your helicopter tour, as the experiences can be quite different depending on which you choose. 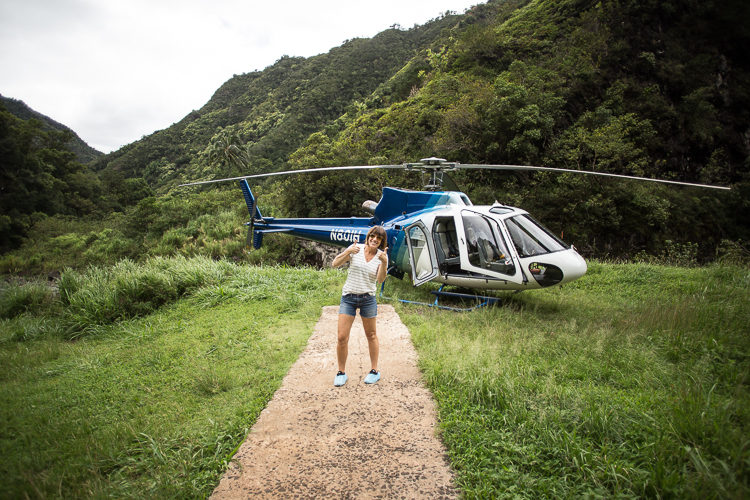 We booked the Jurassic Falls Tour with Island Helicopter, which we read was the best helicopter tour in Kauai. Our experience was beyond my expectations and I would highly recommend it to anyone who is looking for a extended, deluxe tour. We figured if we were going to do a helicopter tour, we may as well spend a little bit more and take THE helicopter tour. We loved it. and I’ll share all about it below. 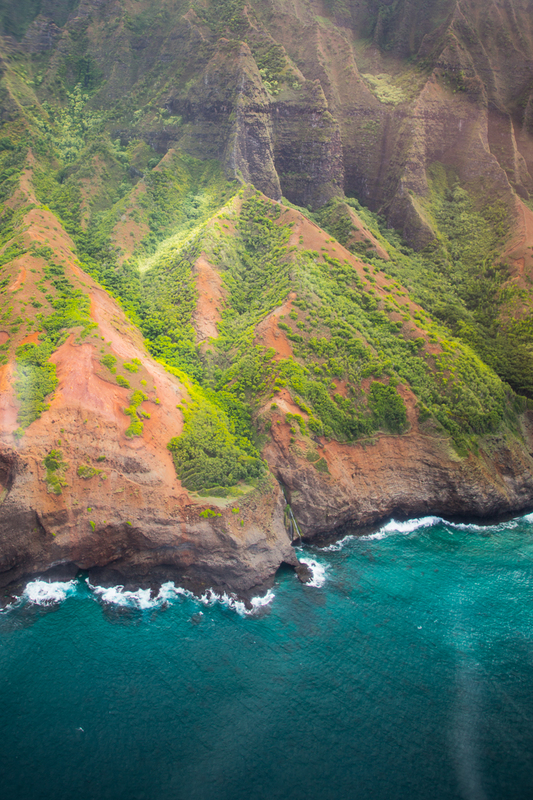 Island Helicopters has been flying on Kauai for over 30 years. They fly six-passenger Eurocopter A-Star helicopters with custom ceiling-to-floor glass doors and windows on their 50-60 minute “Deluxe Kauai Grand Tours” from the Lihue Heliport. 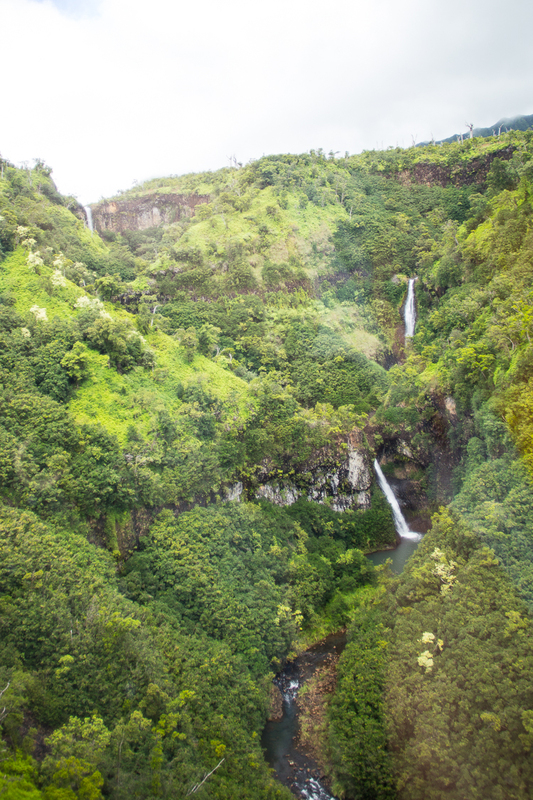 They also are the only helicopter that offers the 90-minute tour that includes a landing at the base of Manawaiopuna Falls (Jurrasic Park Falls), which they have rights to through an exclusive contract with the land-owners. Jack Harter flies six-passenger A-Star helicopters with full length windows for excellent visibility as well as four-passenger Hughes 500s that are flown with the doors off. They offer 60-65 minute tours in the A-Star & Hughes 500 and 90 minute tours in the A-Star only. All flights are from the Lihue Heliport. The doors off tour seems really cool, especially for photographers who want to capture the island without the glass. 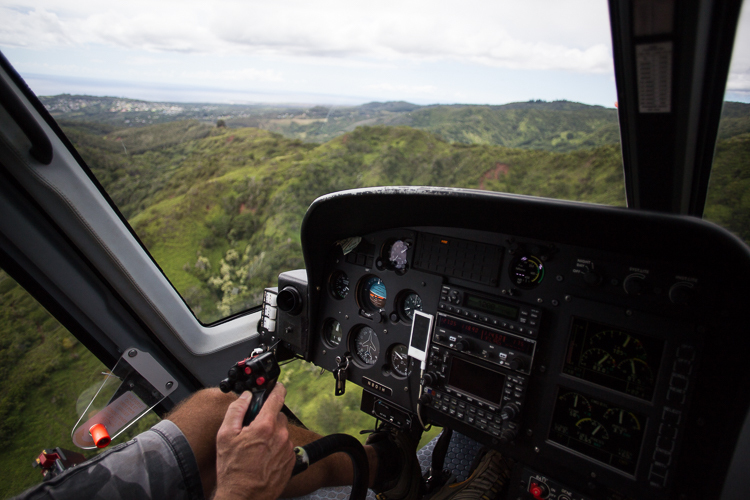 Blue Hawaiian, Hawaii’s largest helicopter company, flies ECO-star helicopters, the first helicopter designed exclusively for touring. 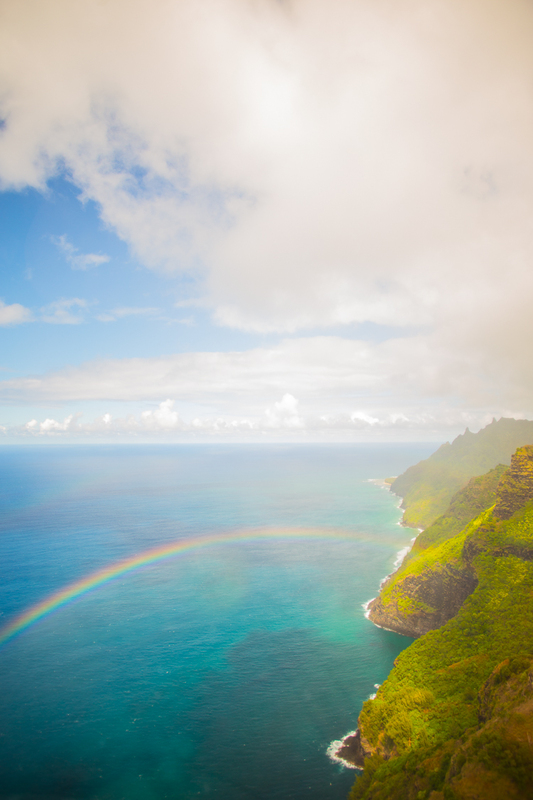 They run 55-minute “Kauai ECO Adventure” tours from the Lihue Heliport. They also offer private charters, if you want an exclusive experience. Safari Helicopter Tours flies the A-Star 350 B2-7 helicopter with mega viewing windows, an onboard two-way communication system utilizing the Generation Bose X noise-canceling headsets, and air conditioning. 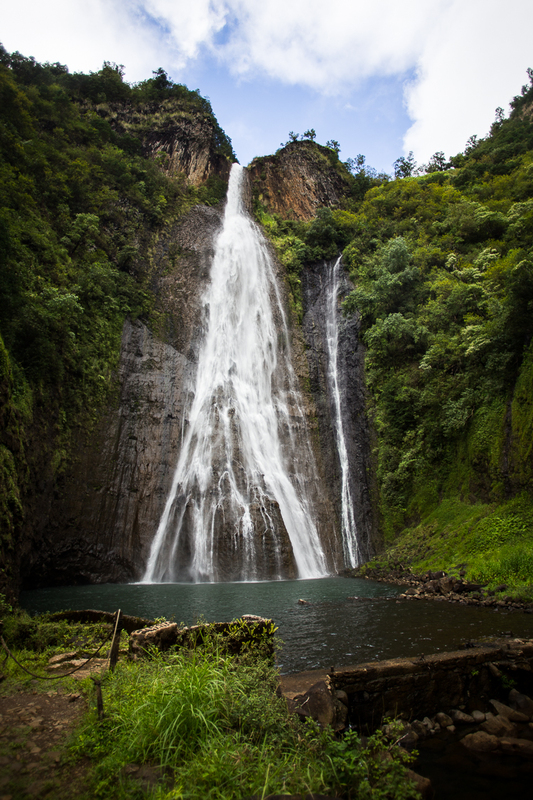 They offer a 55-minute “Deluxe Waterfall Safari” tour and a 90-minute “Kauai Refuge Eco Tour” that includes a 30-minute stopover at the Kauai Botanical Refuge overlooking Olokele Canyon. Mauna Loa Helicopter Tours flies the four-seater R44 helicopters. They fly exclusively private tours for parties of two, three or four. 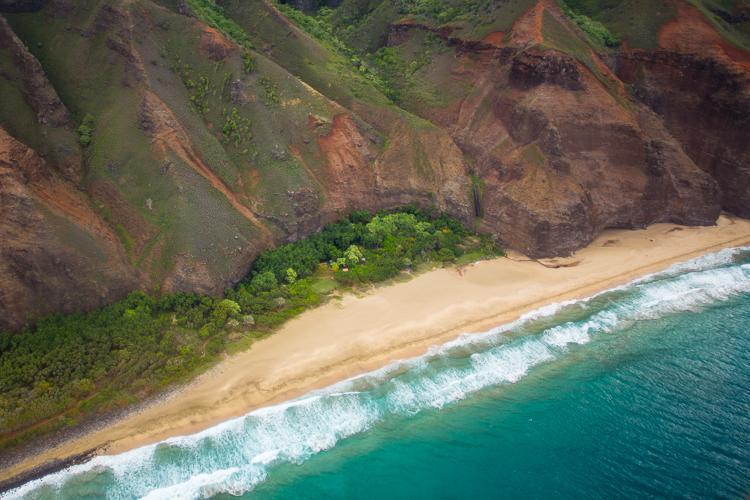 When booking, you can choose from one of the four tours including a 50-60-minute “Ultimate Island Tour,”, a 60-70-minute “Extreme Island Tour,” as well as pilot training with their “Ultimate Instructional Tour Package,” and a special “Photography Flight.” They fly from the Lihue Heliport. 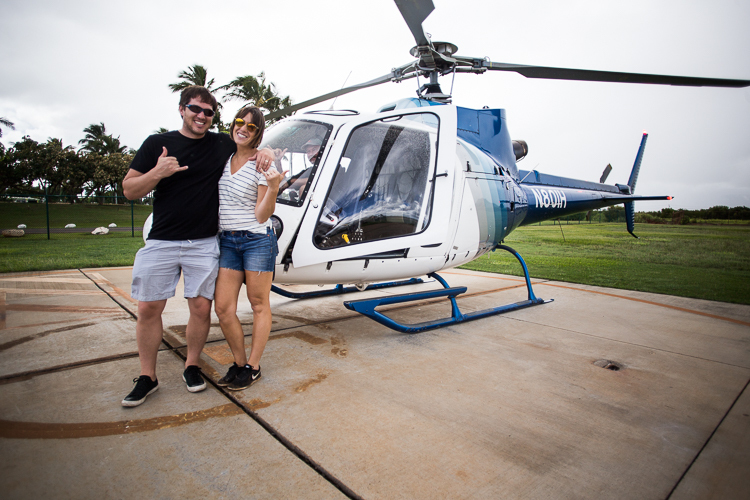 Sunshine Helicopters offers a 45-50 minute “Ultimate Kauai Experience” tour from the Lihue Heliport using FX STAR and WhisperSTAR helicopters. 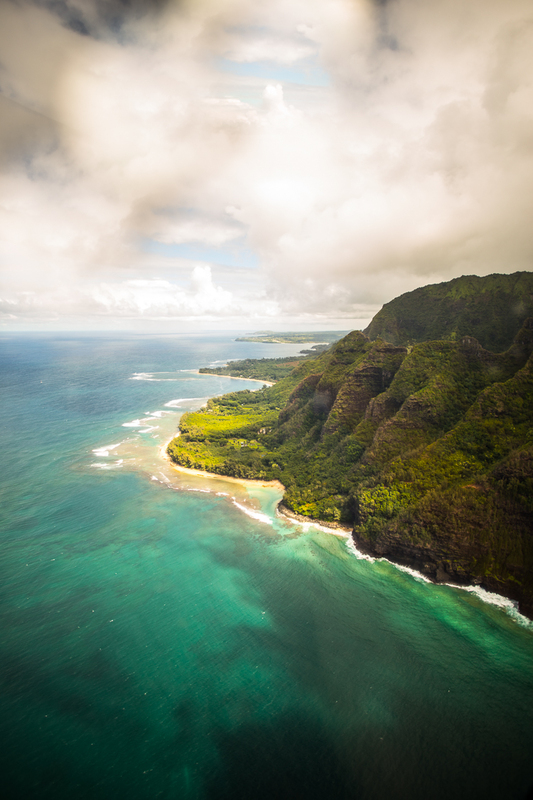 They also offer the only 30-40 minute and 40-50 minute tours from the Princeville Airport on Kauai’s North Shore, which would be convenient if you are staying in the Princeville or Hanalei areas. 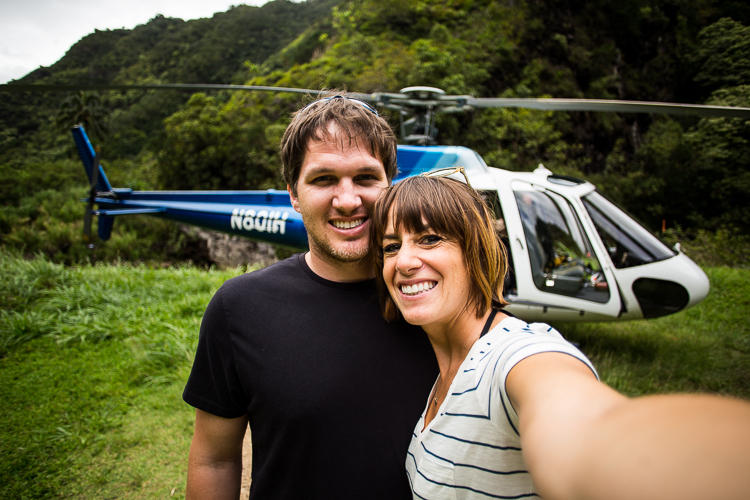 Most of the Kauai helicopter tours cost between $150-400. They are expensive tickets, and a splurge on what is already an expensive place to travel. 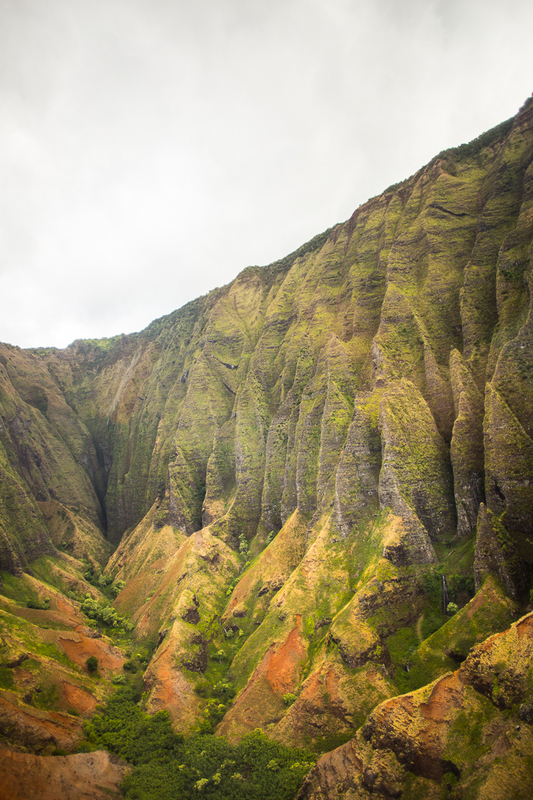 We normally choose excursions and experiences that are more affordable, but felt like once we made the initial $150 investment for a flight, we also wanted to experience the exclusivity of the waterfall visit and being able to actually land in the canyon, which no other company offers. 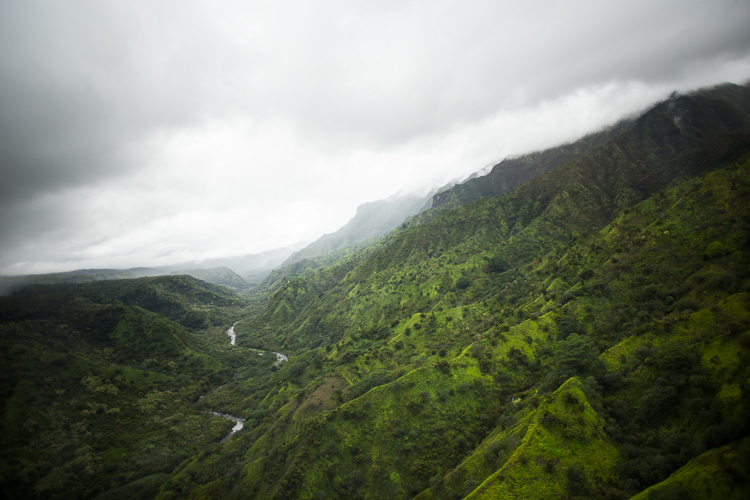 While I am sure all of the tours are incredible, there is something really thrilling about buzzing through the canyon, following the river that leads up to the magnificent Manawaiopuna Falls. It was one of my favorite parts of the tour, and felt well worth the premium cost. Our helicopter tour was 90 minutes long. However, about 30 minutes of that time was spent on the ground at the waterfall. So, if you are looking for in-air time, any of the 40-50 minute tours will likely offer the same air time and experience. 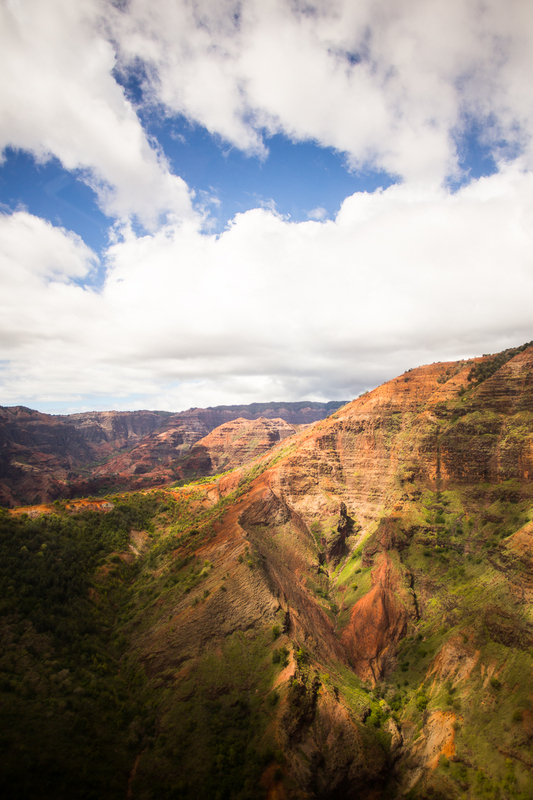 Even 30-40 minutes above the island is plenty of time to catch incredible views, explore Waimea Canyon, see the beautiful Na Pali Coastline, and feel the thrill of the air. Depending on the passenger seating of the helicopter tour you choose, you may end up in the back, center seat with slightly lower visibility. Seating depends on the weight distribution of the passengers, so unless you are booking as a group of six, you may not be able to choose or have any idea where you will sit until you are assigned. After reading some reviews online, I called Island Helicopter the day before our flight to request the front seats, and were told that they would make a note, but ultimately our seating would be determined by the other four passengers on our tour. Either they took abided the request, or our weight evened out the helicopter in the front, we lucked out with seats right next to the pilot, me in the center and Dave on the edge. 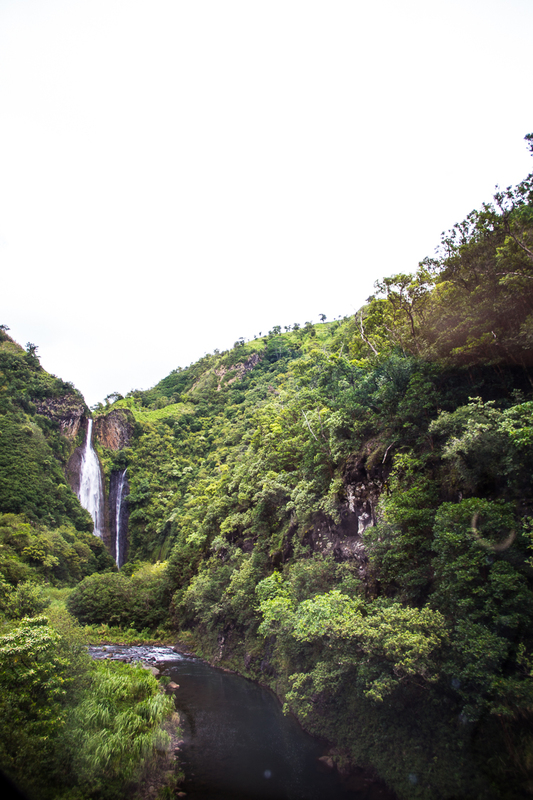 When we stopped at the waterfall, the passengers seated in the back told us that they could see great, and their view was amazing, as well. The only trouble they were having was taking photos without glare from the windows or the shoulders and arms of other passengers in the frame. I offered to send some of my images along, and grabbed their email address, which seemed like the least I could do with all of the front-row goodness I was able to capture. 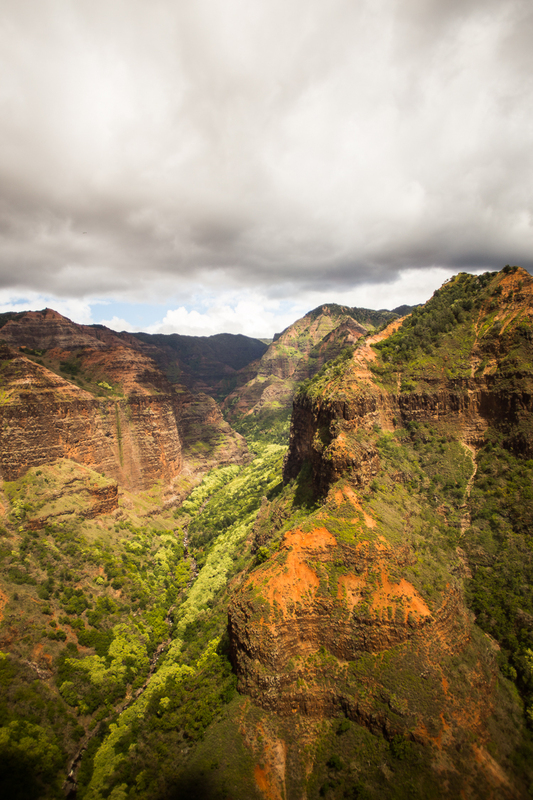 While all of the helicopter tours on Kauai talk about how they are “Extreme”, “Ultimate”, and “Deluxe”, most of them follow a similar route around the island, according to the flight paths determined by the airports. Our helicopter tour began at the Lihue Helipad, where we were weighed and asked to wait until everyone arrived for our tour. We were assigned numbers and walked out to the helicopters, where we boarded in number order, number one being front-center. The first few minutes in the air were weightless, as we watched the tarmac get smaller and smaller, as we rose almost straight up. The vertical take-off of a helicopter is so different than the forward rush of a plane and it is so exciting. We first headed over towards the falls. The pilot pointed out landmarks along the way, on both sides of the bird. When we caught sight of a river, we dipped down and began zipping along through the canyon following the water upstream. It felt like a video game with the trees blurring by and the gentle sway of the helicopter making the turns. Then, a breathless moment as we rounded a corner and the giant waterfall came into view, just like in the movie Jurassic Park. It was gorgeous and otherworldly! We landed on a private helipad a short walk from the falls, and were invited to walk over where we could take pictures, and enjoy the view from the base. Of course, we took full advantage of that. It was one of those magical adventure moments that happens when you travel and find yourself somewhere you might never have imagined. Surreal. Once back on board, the tour felt like it got better and better. We took off and rose up the wall next to the falls, circling so everyone could get a great view. 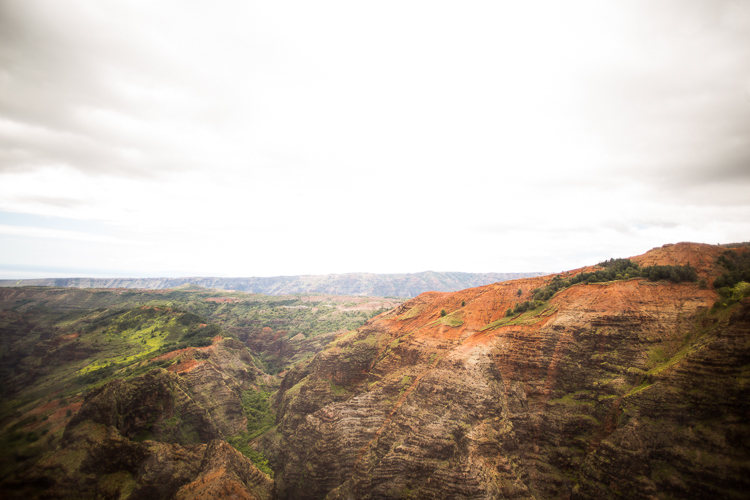 Then headed over toward Waimea Canyon. The red cliffs both felt like home (I’m from Utah, where red rock is the local landscape) and so unbelievable. I noticed the miles of untouched land on such a small island. Fog nestled in the winding canyons. I couldn’t snap my camera fast enough! 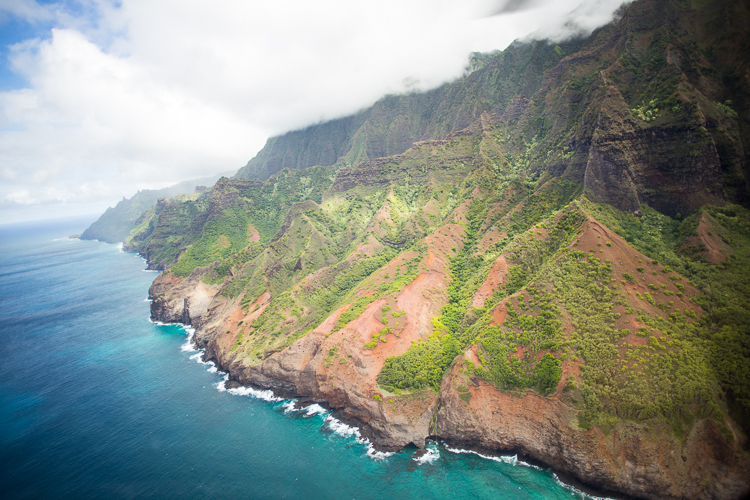 After flying over the Grand Canyon of the Pacific, we cruised out toward the North Shore. 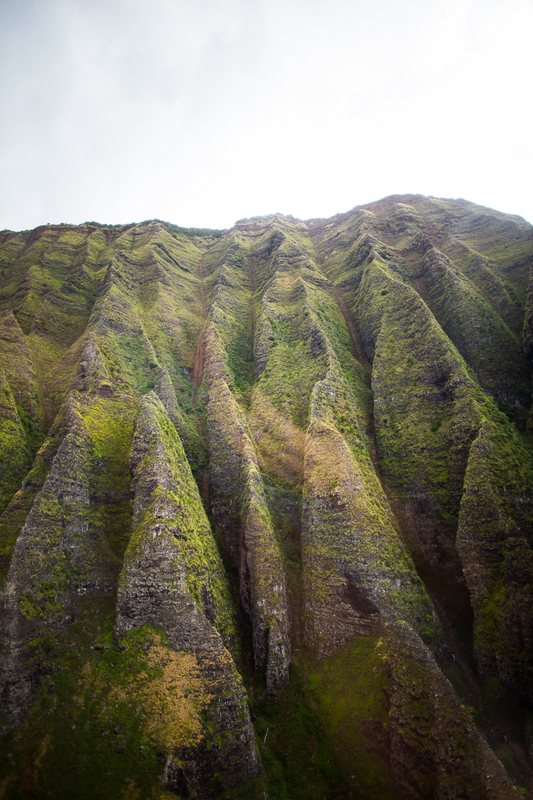 I had been excited to see the epic Na Pali coastline from the air, and it did not disappoint. The pilot even knew how to adjust the angle of the helicopter to create a rainbow along the shore which made some beautiful pictures. As a finale, we cruised in to Mt. 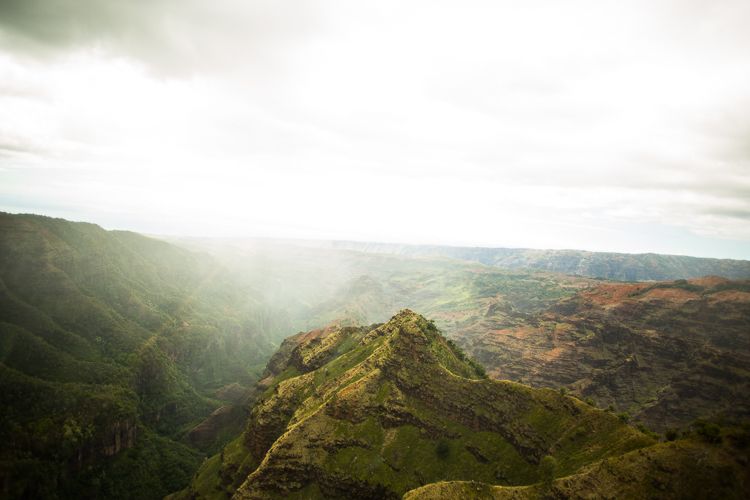 Wai’ale’ale which is center of the dormant volcano that formed Kauai, and one of the wettest places on the planet. The stars aligned and we were able to go all the way in and see the walls and view. The pilot mentioned that was lucky, and didn’t always happen. The tour was entertaining, exciting, and so beautiful. When the pilot wasn’t pointing out features on the island, there was a great sound track playing through the headphones. We felt safe and in good hands with the pilot and machine. The other passengers were nice and everyone had a fantastic adventure.